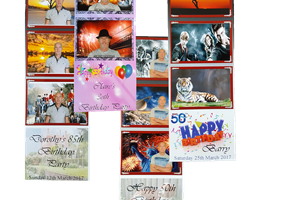 Your photos can be set to print at either 6” x 4” (Postcard size) or 6” x 2” (Passport strip size). 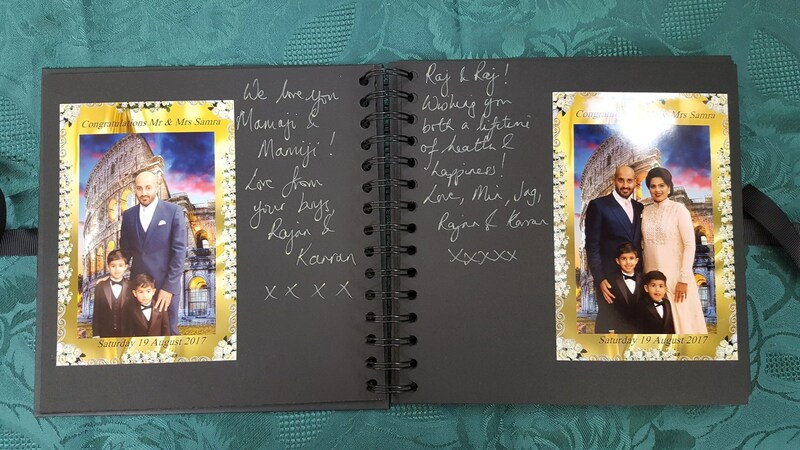 The layout on the actual print can be fully personalised, only your imagination will impose a limit. 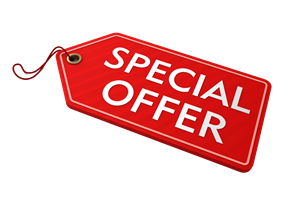 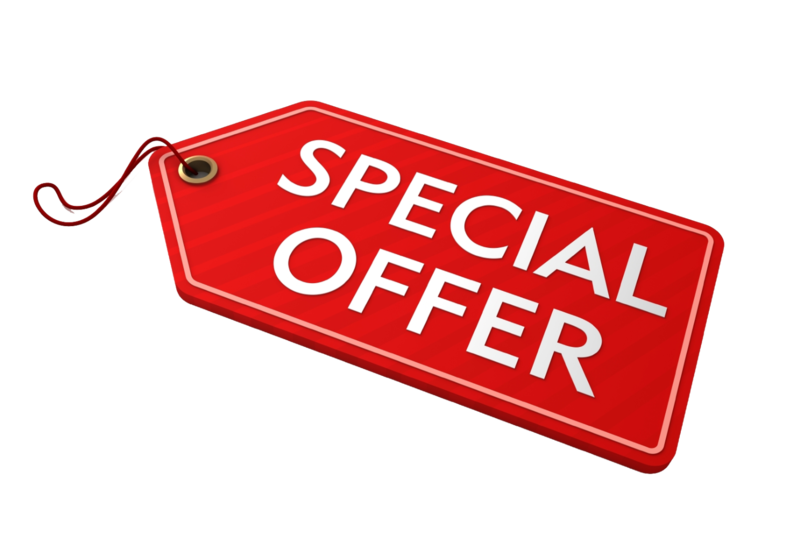 Once you have paid your deposit, we will create several print templates that will fully endorse and compliment your own personal event. 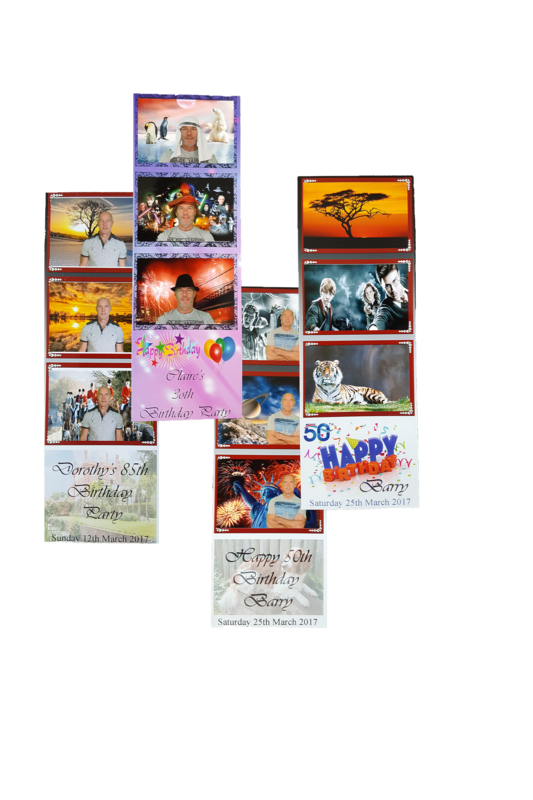 In the meantime, here are a few examples of print styles available to you. Let your hair down time! 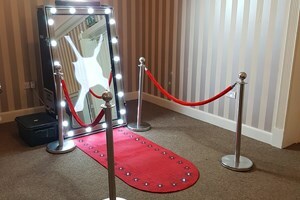 Close up of the Magic Mirror. 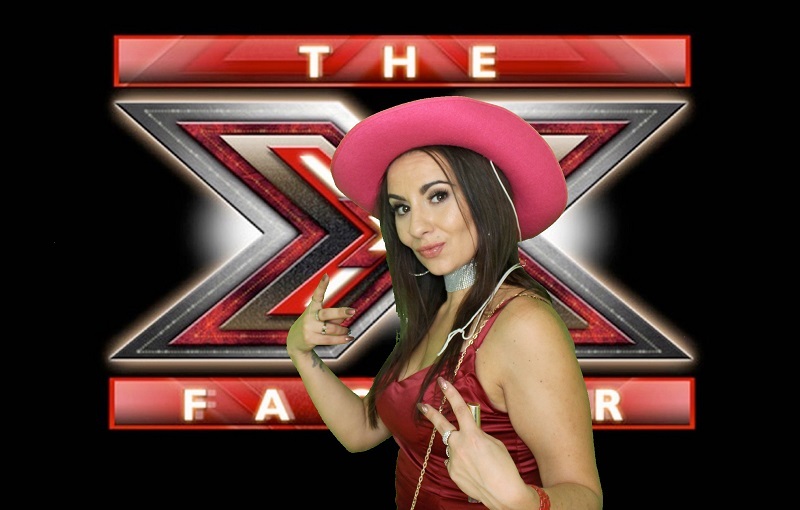 She has the X factor! 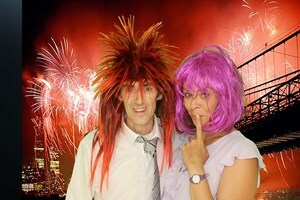 Him & Her - Funny & Bored! 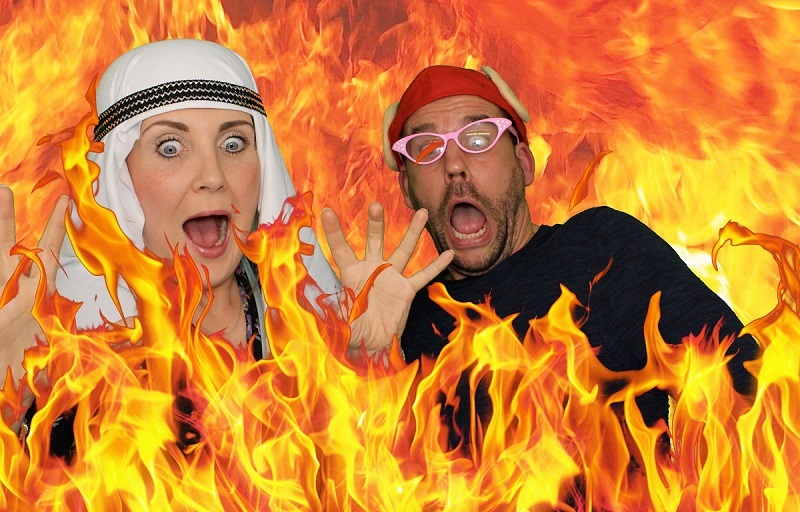 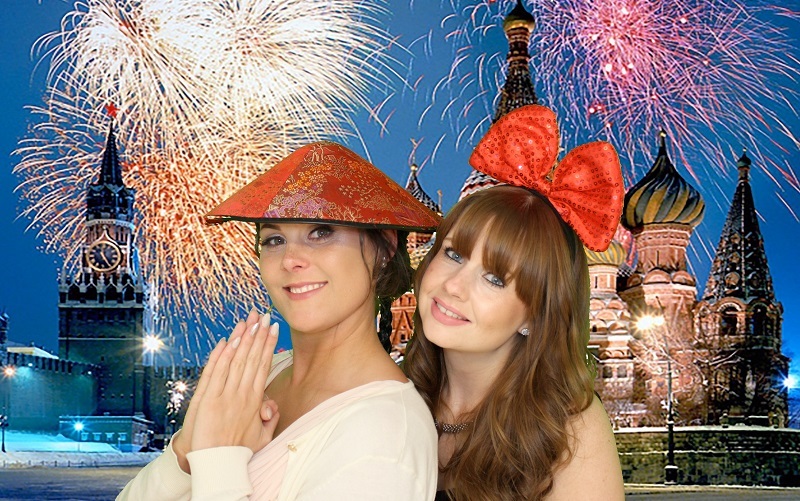 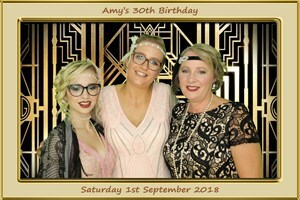 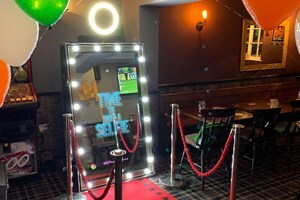 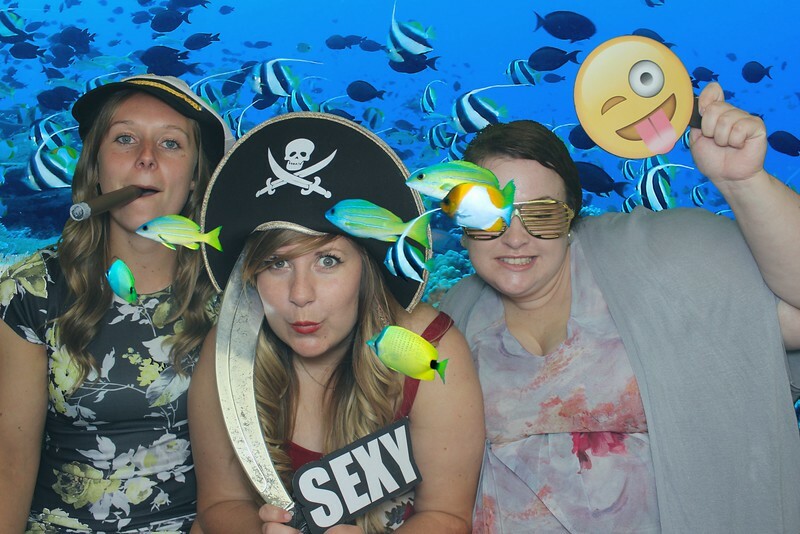 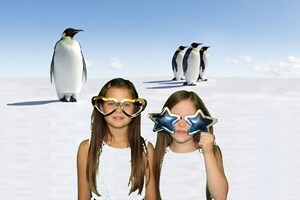 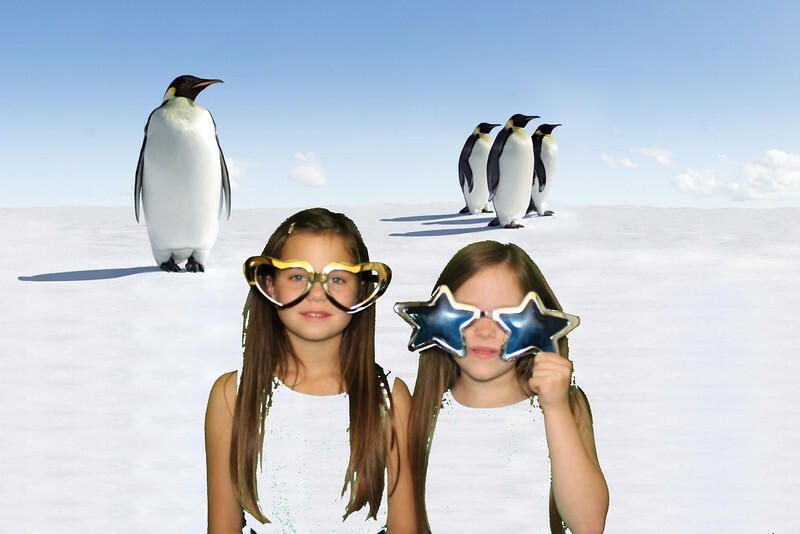 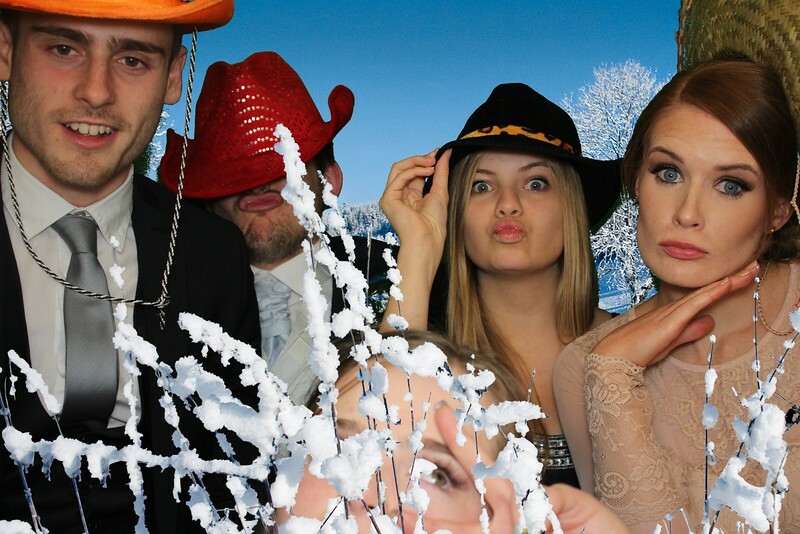 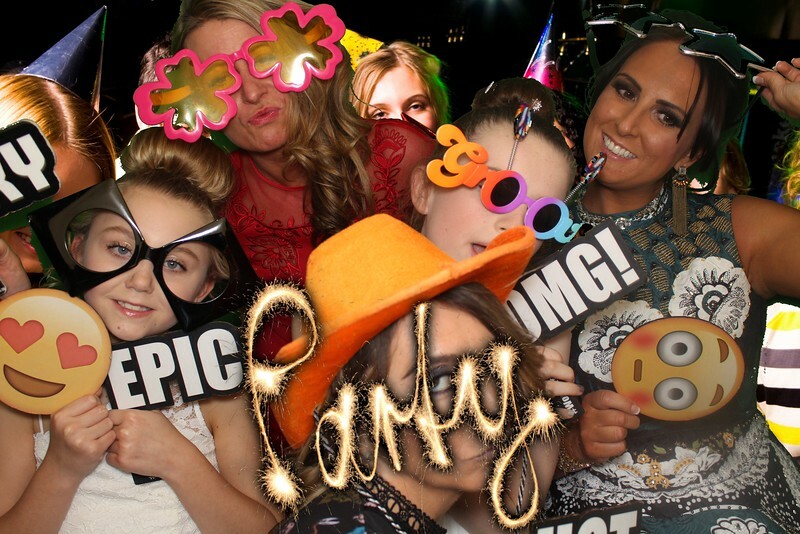 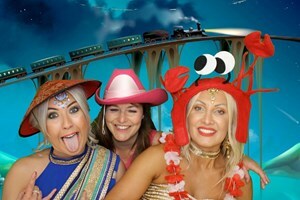 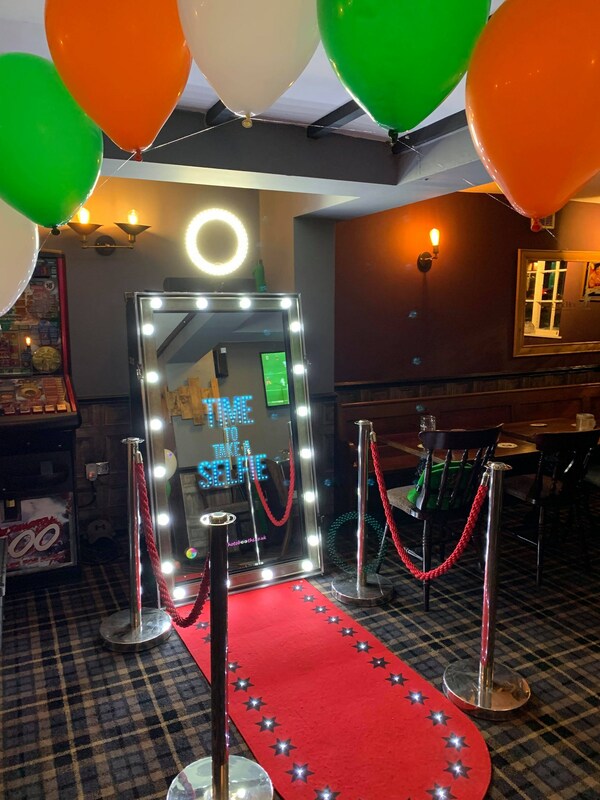 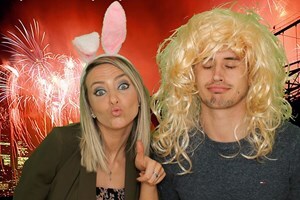 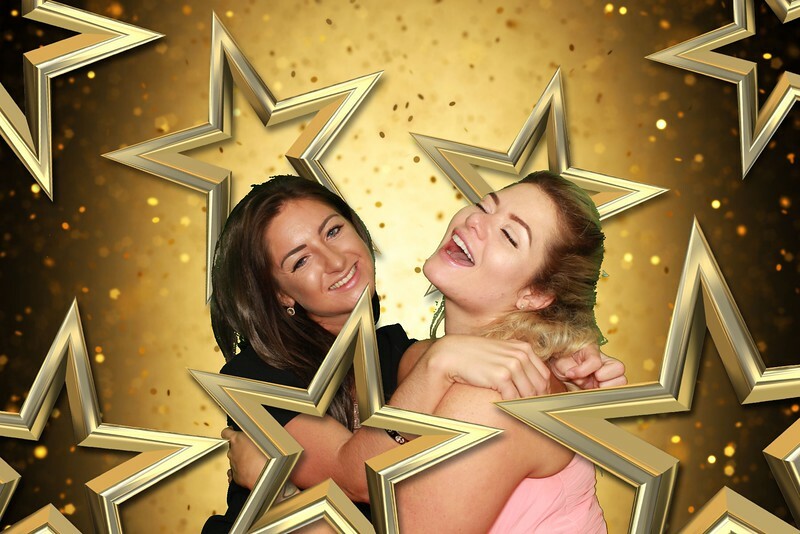 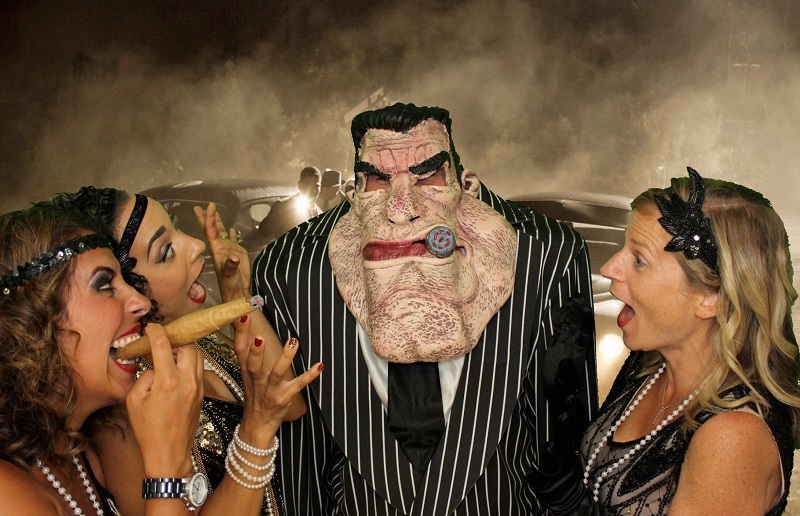 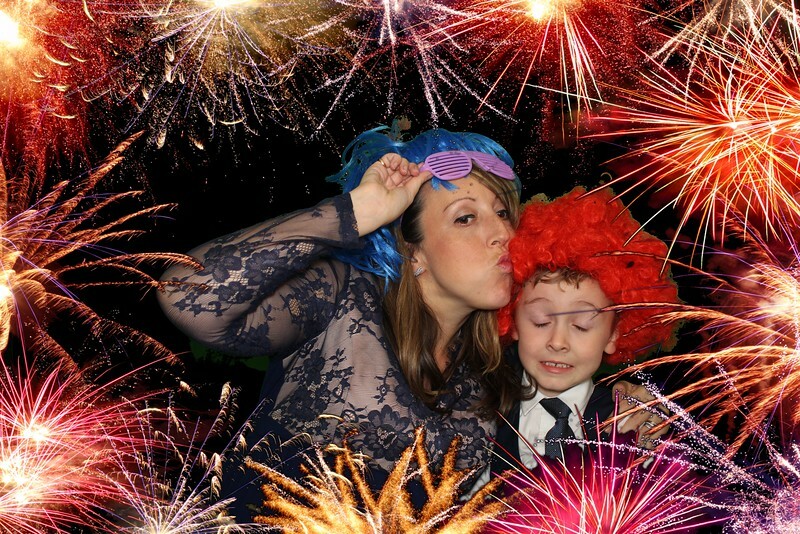 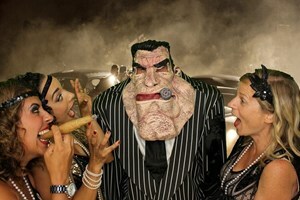 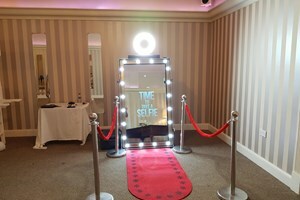 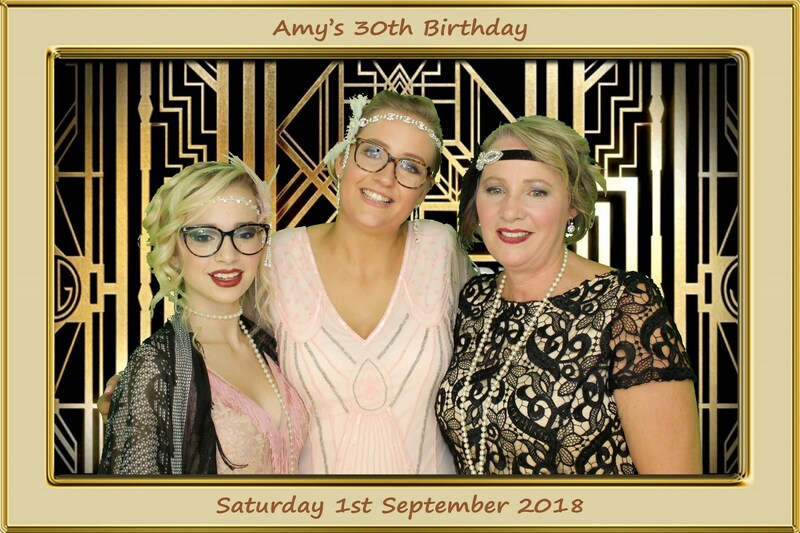 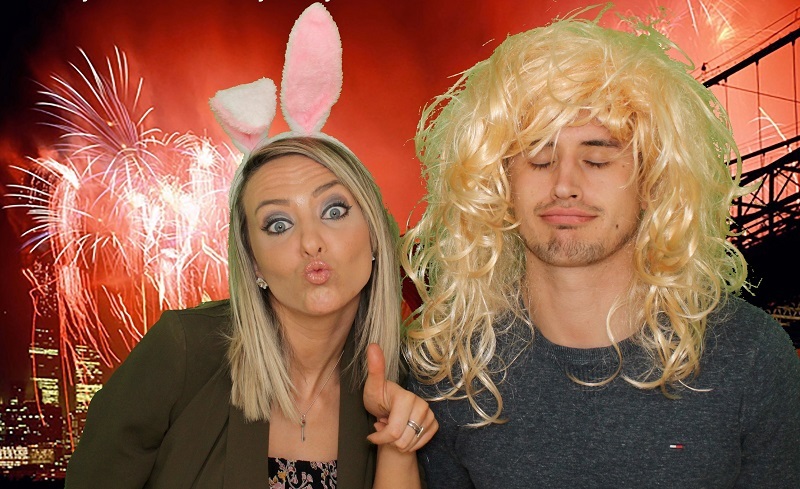 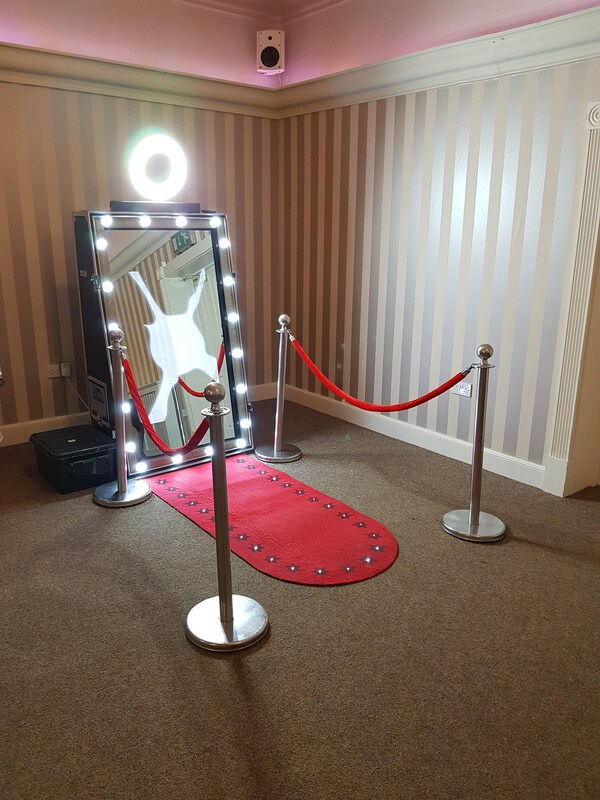 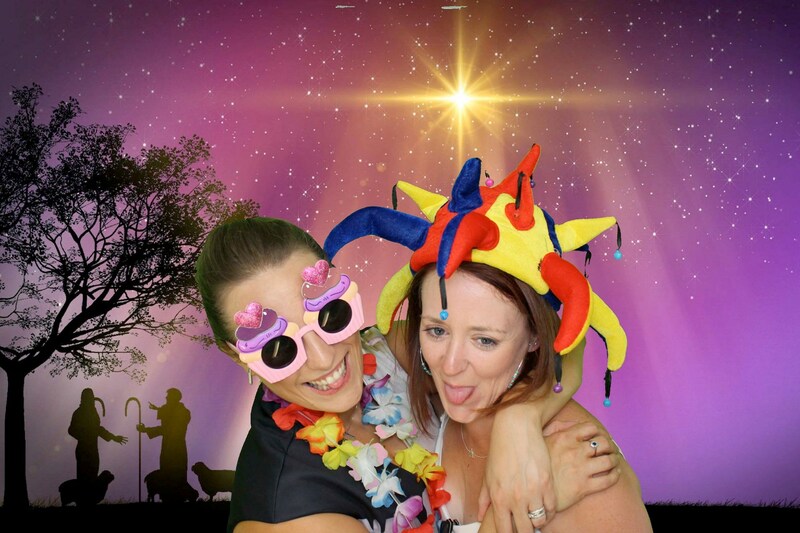 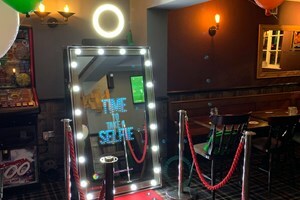 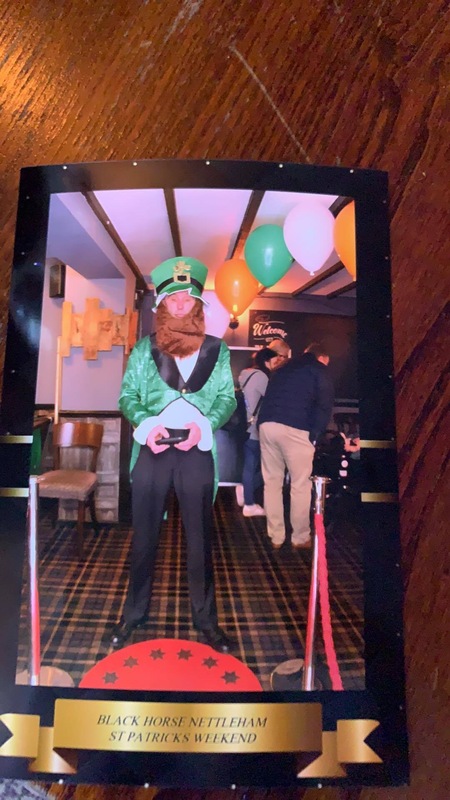 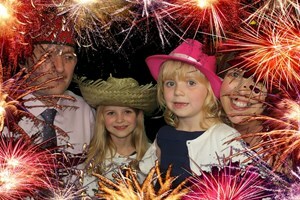 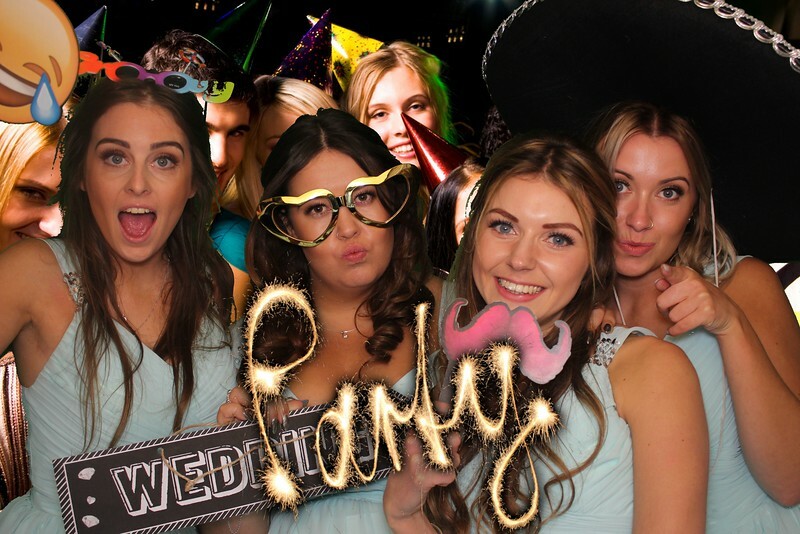 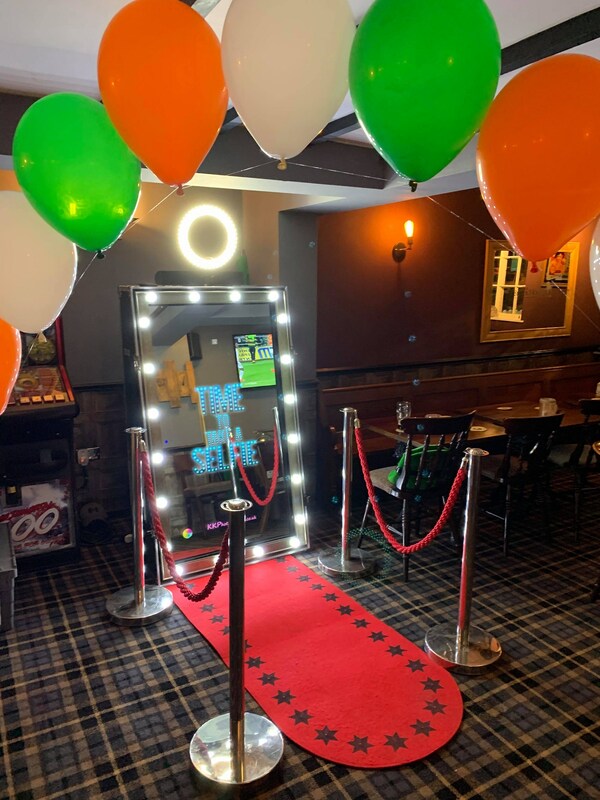 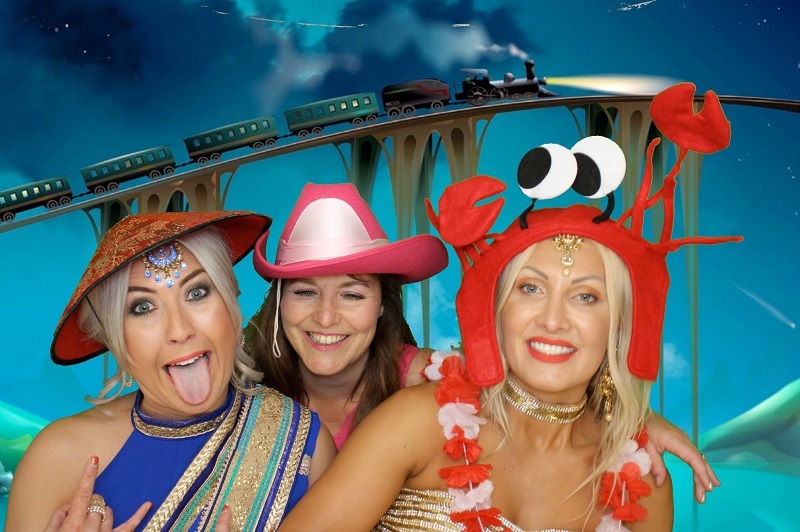 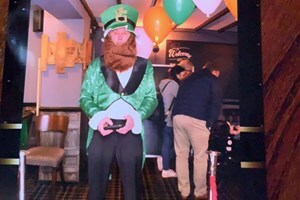 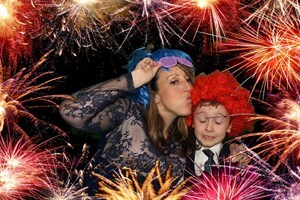 Make your Birthday Party memorable - hire one of our Photobooths or Magic Selfie Mirrors. 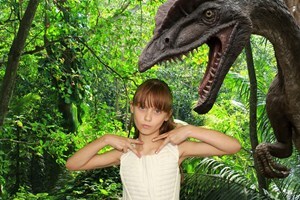 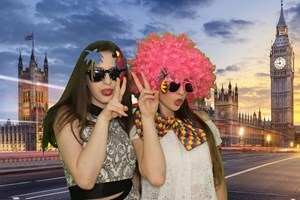 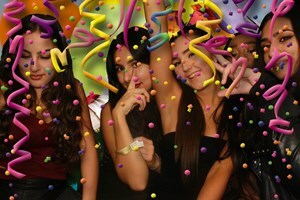 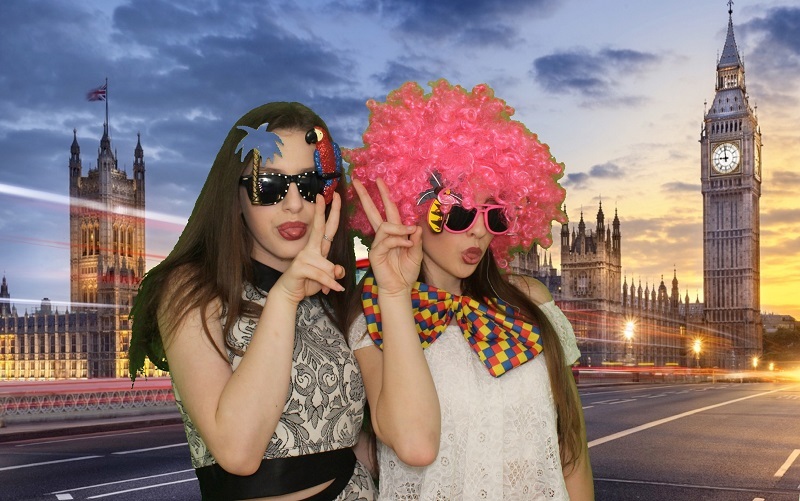 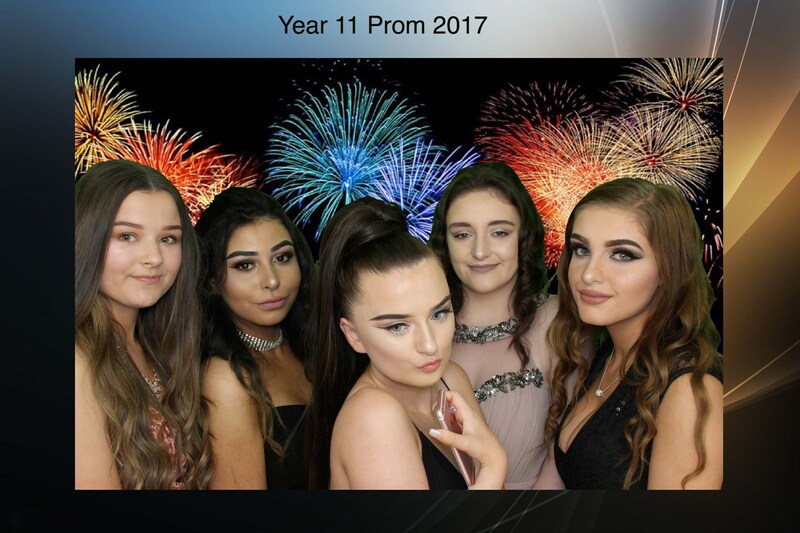 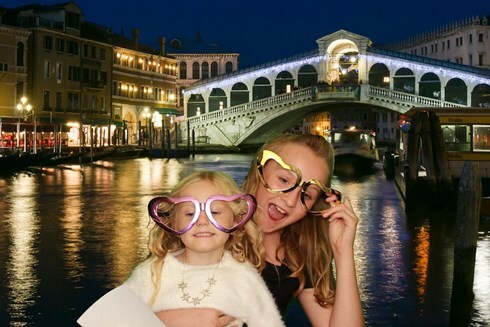 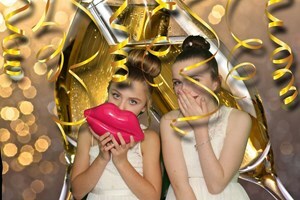 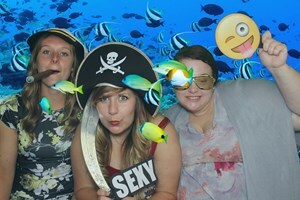 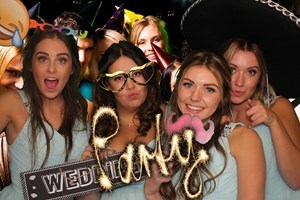 Teenagers love our Photobooths & Magic Selfie Mirror. 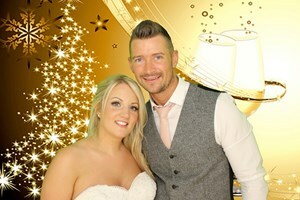 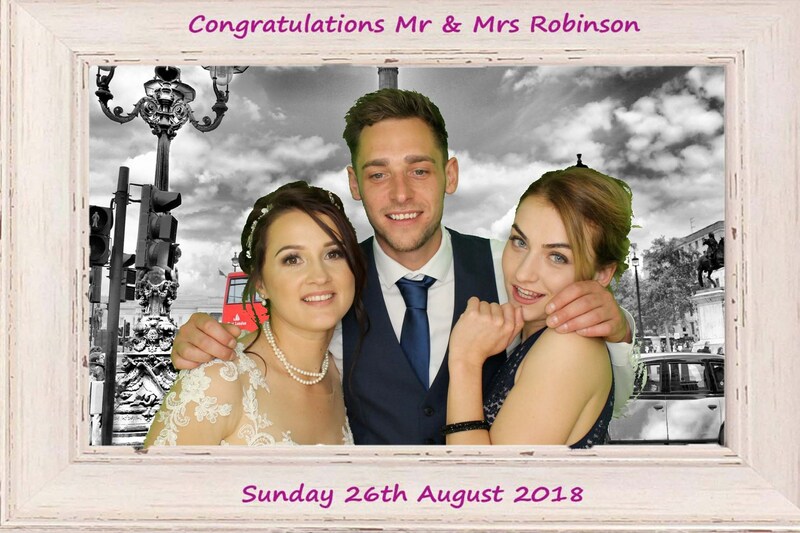 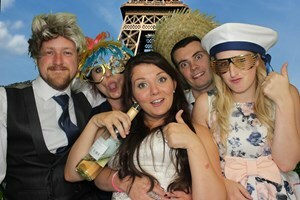 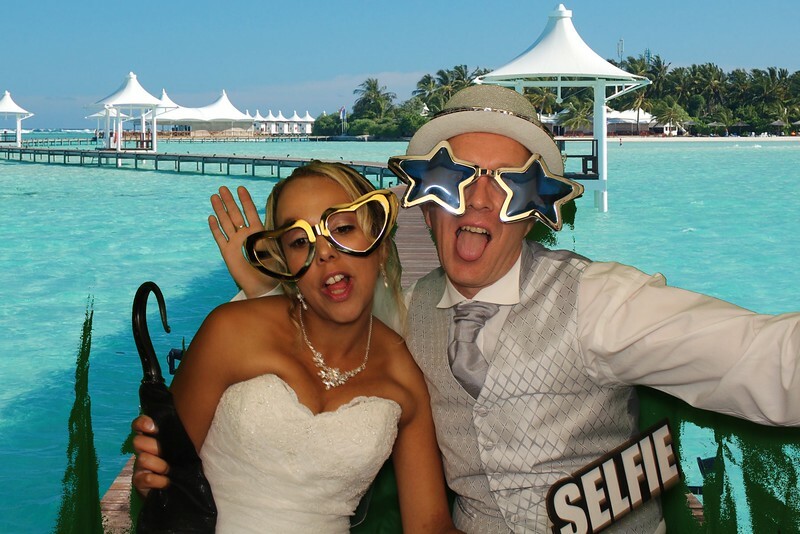 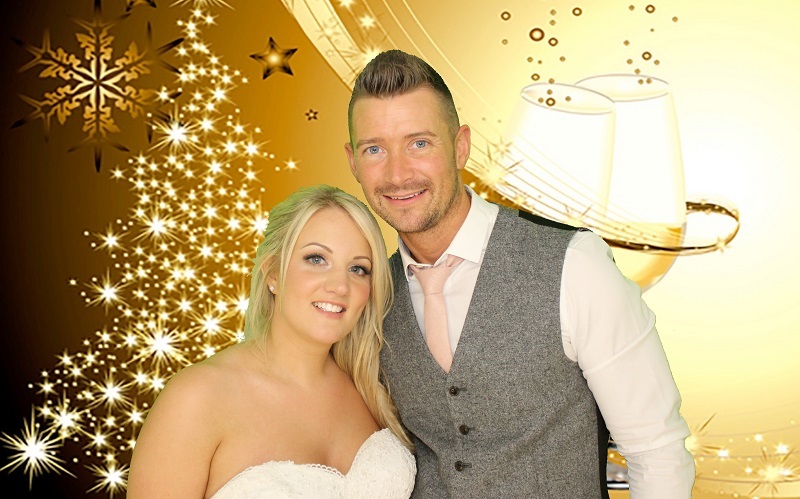 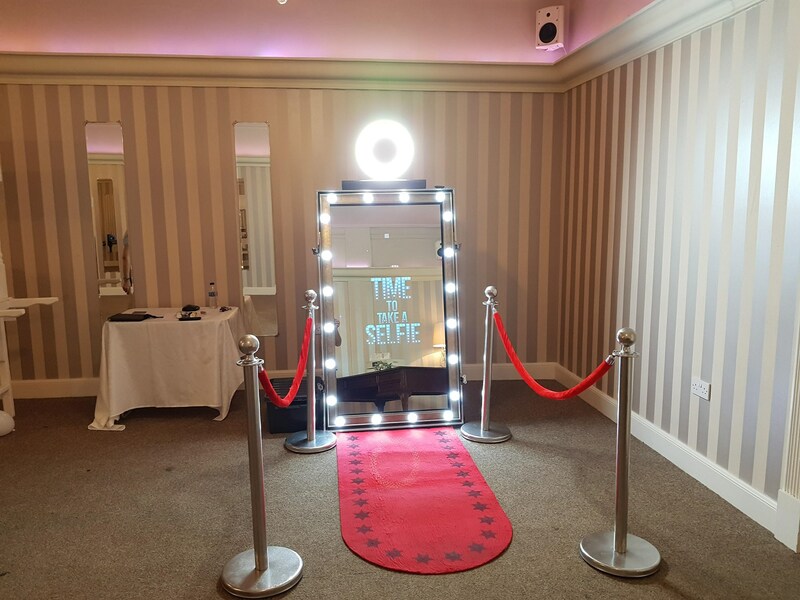 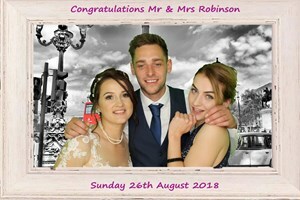 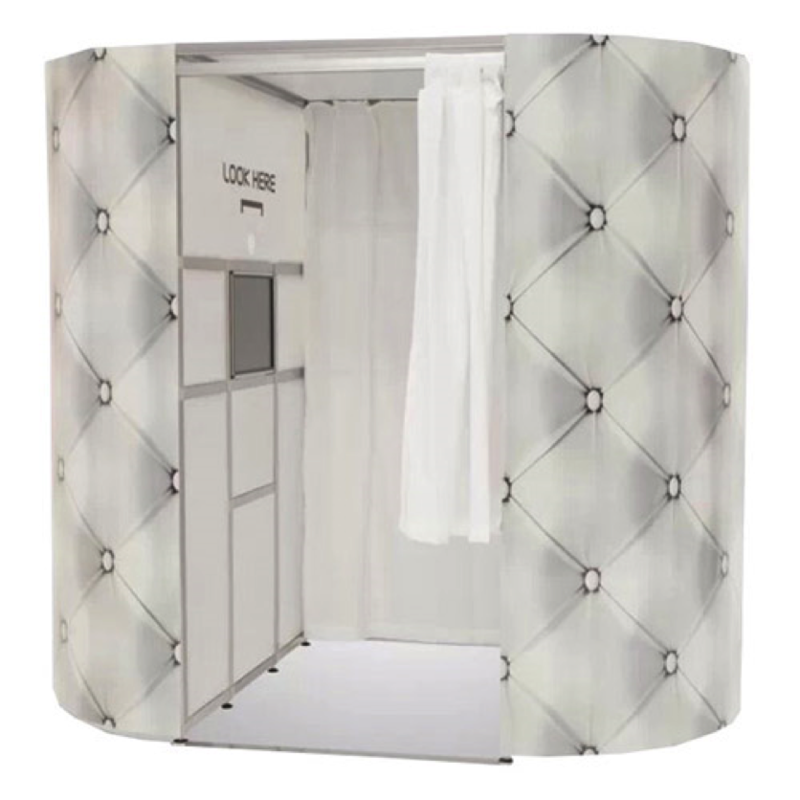 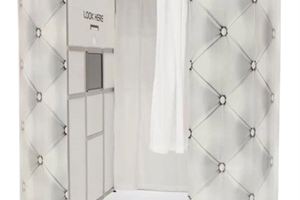 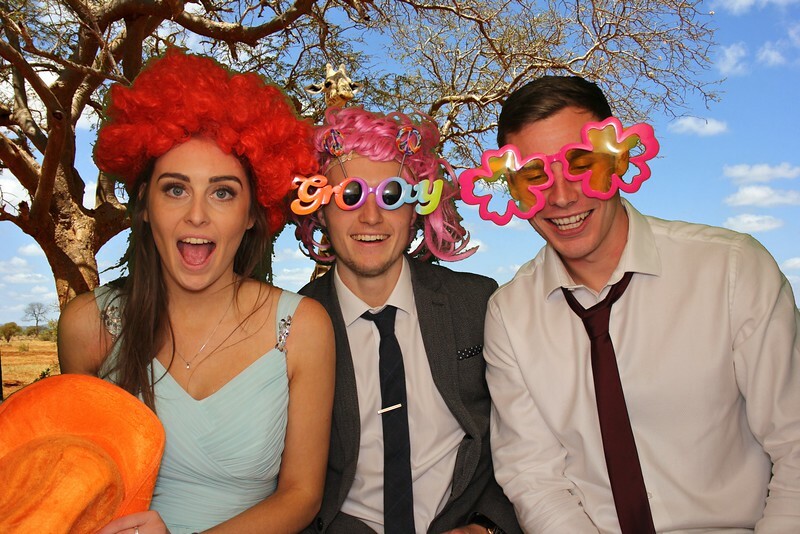 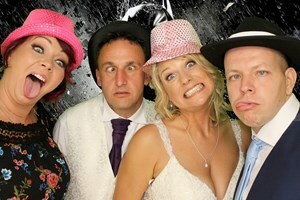 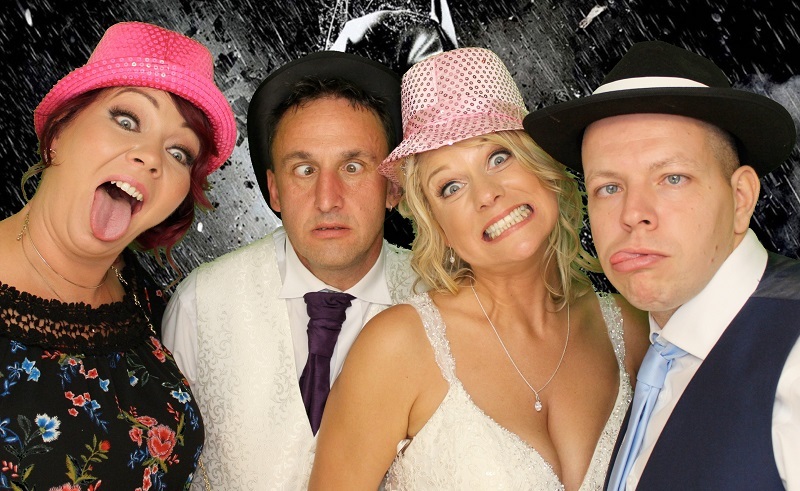 Make your Wedding a day to remember with one of our Photobooths or Magic Selfie Mirror. 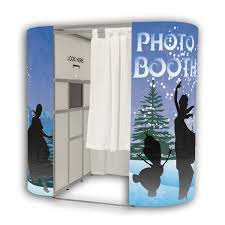 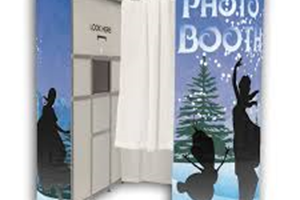 Enjoy Christmas with our Photobooth or Magic Selfie Mirror.